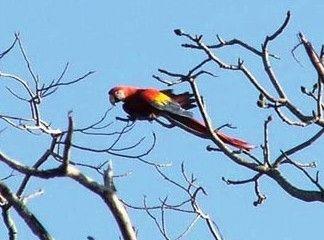 Help Save Costa Rica’s Scarlet Macaws! Projects Abroad’s Conservation team in Costa Rica has embarked on an exciting and essential mission to help save the Scarlet Macaws. These beautiful birds are at grave risk of extinction and our aim is to put an end to this devastation. The Macaws are captured for their brightly colored feathers and extreme beauty, and in some areas they are even eaten as a delicacy. The main role of the volunteers at our base in Barra Honda National Park is to monitor and protect the Macaw nesting sites. Our team has identified two particular nests near to the park that are continual targets for poachers. To save these nests our volunteers will camp nearby and watch them every day from the time the adults begin nesting until the chicks are old enough to defend themselves. That way the birds can fly away to freedom and each year there will be 2-4 new Macaws in the wild! 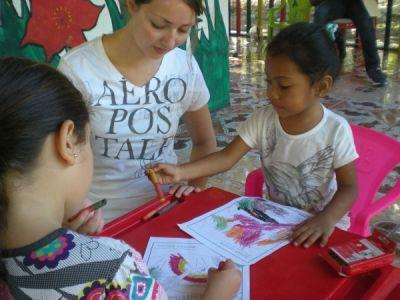 This project has stolen the hearts of all our volunteers in Costa Rica, and those on our Care projects have also got involved. Projects Abroad volunteers in Liberia spent time with the children in a local kindergarten coloring in pictures of the Scarlet Macaws in order to raise awareness in the local area about the importance of the survival of these breath-taking birds. You can read more about the Costa Rica Conservation Project here.